Home » Business & Finance » Are alternative investments for you? WASHINGTON — As financial advisers, we are often asked if there are other strategies to invest in besides traditional stocks or bonds. This question is becoming more relevant, as investors are increasingly concerned about whether equity markets will continue their record-breaking ascent. 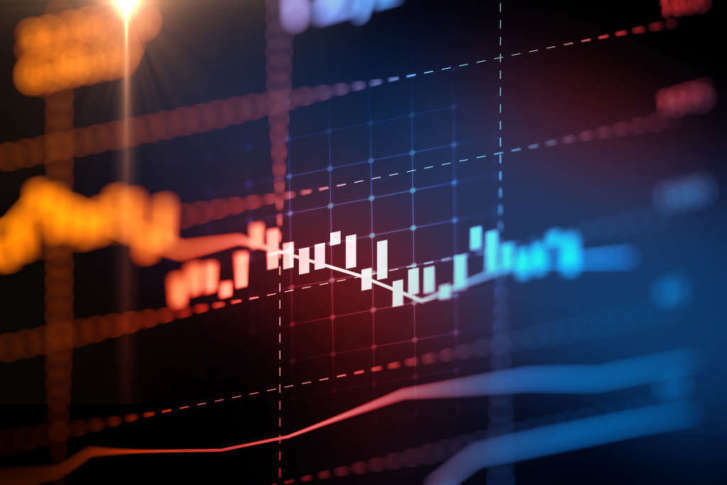 When you factor in rising (although still historically low) interest rates, you may want to consider alternative ways to generate a potentially positive return on your investments. That brings me to the point of this article: alternative investments. Before I dive in to explain what alternative investments are, I want to talk a bit about why we invest in them on behalf of clients. Alternative investments are not intended to replace your entire portfolio, but rather to add diversification by including strategies that are less-dependent on positive stock and bond market performance. Adding lower correlating alternative strategies that don’t generally move in lockstep with the market’s ups and downs helps to hedge against downside risk during equity market downturns, and potentially reduces the volatility of your overall portfolio through further diversification. To learn more about diversifying your investments, read: Investment Soup: A Recipe for Financial Success. For qualified or accredited investors willing to take on long-term illiquidity risk, alternative investments such as private equity, debt or real estate may also provide enhanced return opportunities. In these cases, alternative investments can serve as an equity replacement by gaining the ability to share in the potential higher growth and profits of private companies, or as a bond replacement by potentially receiving larger income distributions. More recently, alternative investment opportunities have become available to all investors, not just accredited investors, through interval funds, mutual funds and exchange-traded funds (ETFs). Like drivers who need to know different routes to navigate around severe traffic and roadblocks to get to their desired location, investors may want to consider various alternative investments to add to their portfolio to reduce downside risk and improve their long-term return potential — the ultimate goal of both the driver and investor being a smoother ride with fewer potholes. Most people have heard of hedge funds, but may not know how they operate. Hedge funds pool investor funds and invest in a variety of sophisticated hedging strategies. Some hedge managers short or bet against stocks or bonds they expect to decrease in value while buying long those stocks or bonds they expect to appreciate; others attempt to benefit from mergers by investing in companies that are being acquired and shorting the acquiring company; and still others invest in the securities of distressed companies that are involved in workouts. It’s common for hedge funds to use derivatives, options and leverage with the objective of limiting downside risk, earning higher returns or both. Typically, real assets may provide a hedge against inflation, and, in some cases, a steady income stream. They include real estate and infrastructure funds such as master limited partnerships (MLPs), which invest in oil and natural gas pipelines, natural resources and commodities. Real estate is a broad category that includes publicly traded and non-traded real estate investment trusts (REITS), as well as private partnerships investing in different types of real estate holdings like multifamily, commercial, hotels, senior housing and warehouses, as well as triple net lease funds. There are more private companies than public companies, and many of them take on investor capital and/or debt in exchange for equity ownership or higher total payouts. This broad classification includes investments in startups, such as venture capital, and financing throughout all phases of a private company’s growth. These capital sources are very important for startups and early stage companies that don’t have access to more conventional financing, because they lack the operating and revenue history required by many traditional lending institutions. Capital is returned to investors when a company goes public through an IPO (initial public offering), when it’s acquired, or by refinancing. As the alternative investment industry continues to expand, other strategies are being offered that include, but are not limited to, insurance-linked securities, dedicated-options-writing strategies, alternative lending and structured notes. Generally, many hedge funds and private partnerships limit access to institutional investors and wealthy people who are deemed to be qualified purchasers or accredited investors. Many fund sponsors rely on private placement exemptions that limit their investor base to sophisticated investors who can meet minimum investment requirements and understand the complex risks, especially the illiquid nature, of these investments. Investing in private equity, real estate and debt opportunities requires a longtime horizon (generally 7-10 years) with an undefined exit date. In exchange, investors expect a potential return premium for this illiquidity. Similarly, many hedge funds also limit the time frame when investors can sell their holdings, most often quarterly or semiannually, and may face a lockup after their initial investment, during which time they cannot sell their holdings. Hedge fund strategies can be very complex with the use of derivatives and leverage, and many hedge funds lack transparency regarding their underlying holdings. For these reasons, hedge fund investments should be evaluated carefully in light of the investor’s personal liquidity needs, understanding of the strategies and fit within their overall portfolio asset allocation. Another investment structure called an interval fund has been gaining popularity for different types of alternative investments, because interval funds can provide more liquidity than private placements and many hedge funds, but less liquidity than mutual funds and ETFs. An interval fund is a type of closed-end fund that is not listed on an exchange and can be redeemed only during certain intervals, typically quarterly. Instead of daily liquidity as in mutual funds and ETFs, an interval fund periodically offers to buy back a stated percentage of its shares from shareholders at net asset value (NAV). Interval funds exist for many different strategies and, depending on the investment mandate, can invest in debt and equity securities of public and private companies, insurance-linked securities, options contracts etc. Lastly, one of the more recent trends in the alternatives space is for people who do not qualify as accredited investors or who have liquidity constraints to access these strategies through mutual funds or ETFs. These seek to replicate the risk-adjusted return characteristics of many strategies used in hedge funds, such as long-short equity, and are available to the retail investor. These actively managed funds and ETFs provide diversification and have the advantages of more transparency, competitive fees and better liquidity than private partnerships, hedge funds and interval funds. How much should you invest in alternatives? The simple answer is, that depends. As with constructing any investment portfolio, allocations to alternative investments should be determined in conjunction with your objectives, risk tolerance and liquidity constraints. Because alternative investments encompass a broad universe that includes real assets, hedging strategies and private opportunities, investment advisers will differ on how much to allocate. Therefore, the range can vary substantially, from as little as 5 percent to 30 percent or more of a portfolio. Alternative investments need to be carefully reviewed, ideally with the help of an investment adviser, before incorporating them as part of an investor’s total portfolio. By understanding what alternative investments are and the role they play in your portfolio, you may be able to improve the expected risk and return characteristics of your diversified portfolio over the long term by adding them as a complement to your traditional investments.